Our full day excursion goes first to the Arataki Visitor Information Centre situated within the Waitakere Ranges Regional Park. The breathtaking panoramic views from the sweeping decks extend from the Tasman Sea to the Pacific Ocean. 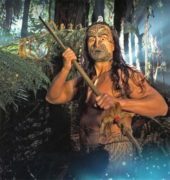 Absorb the area’s history and admire the magnificent traditional Maori carvings that stand guard there. Continue further west with our knowledgeable and highly experienced guides to the wild and rugged west coast where you get to experience the isolation of the area. Our guides walk you through an area of Auckland’s coastal rainforest where they explain the local flora and fauna with its giant tree ferns growing alongside picturesque streams in regenerating rainforest. You then get the opportunity to stroll on an awe-inspiring beach and experience the uniqueness of the soft black sand and the clear ocean breeze. 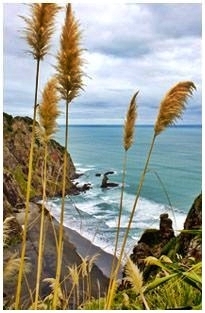 This special day includes a kiwi-style picnic lunch at a scenic location. Your journey then takes you to an area of untouched original rainforest with mature 1,000 year old kauri trees. New Zealand has existed for millions of years separate from the rest of the world so has evolved in isolation to produce its own unique flora and fauna – 70% of our native plants are found nowhere else in the world. Our guides will explain about our native species as you walk amongst New Zealand’s famous kauri trees and native birds. Minimum 2 passengers. Moderate walking ability required.